M&M Lighting has been a leader in the commercial and residential lighting industry since its establishment in 1961. 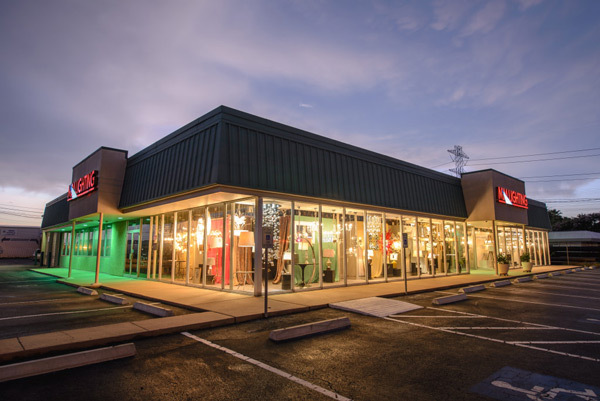 Serving the greater Houston, Texas area for more than 50 years, M&M Lighting continues its legacy as a top distributor for lighting fixtures and ceiling fans today. Our sales consultants are highly knowledgeable and have successfully completed certified lighting training from Lightolier and the American Lighting Association. With many years of experience and expertise, our lighting sales professionals are capable of solving your lighting problems quickly and efficiently. Browse our unique selection of landscape lighting, home accents, outdoor lighting, lamps, bathroom lights, sconces, wall lights, pendants, chandeliers and more today! Our lighting showroom in Houston offers thousands of in-stock decorative residential fixtures and office lighting fixtures. M&M Lighting is proud to offer a large selection of Lightolier and Halo recessed fixtures, Lutron dimmers, Casablanca ceiling fans, Kichler LED under-cabinet lights, and Hadco landscape lighting. Our decorative lines range from made-to-order, made in America products like Hubbardton Forge to fashion-forward budget-conscientious lines such as Capital Lighting and Nuevo Living. From our large inventory, M&M Lighting can ship our lighting products to any city in the United States. We are proud of our great customer service, especially when you couple that with high-quality lighting fixtures from our innovative manufacturers. With our new and updated online catalog, you can find the right lighting fixtures for your home or office building by simply browsing our website. We are a proud member of the American Lighting Association, the Greater Houston Builders Association, the National Association of Home Builders, the Texas Association of Builders, the Greater Houston Partnership and many others. If you reside in the surrounding Houston area, visit our stunning lighting showroom located at 5620 S. Rice Avenue in Texas. We are open from 9 a.m. to 5 p.m. Monday through Friday and from 10 a.m. to 3 p.m. on Saturdays. There, you can speak to one of our sales associates about all of your lighting needs and receive instant feedback on the latest lighting trends. If you can’t make it by the showroom, feel free to call us at (346) 230-4107 or to fill out our online form.